And he recommends other doctors do the same. “I will not write a prescription for opiates until the patient has clearly negative urine drug screens,” Dr Aronoff told Medscape Medical News. At a session here during the American Academy of Pain Medicine (AAPM) 2016 Annual Meeting, Dr Aronoff discussed issues related to marijuana and motor vehicle accidents, and legal decisions that appear to protect employers wanting a drug-free workplace. These, along with the problems of diversion, abuse, and misuse of controlled substances, might affect prescribing physicians, he said. Chances are that some patients in any pain medicine practice are using marijuana. Dr Aronoff described what might be a typical pain patient: That patient has back pain, has undergone multiple back surgeries, has been prescribed oxycodone and other pain medicine, and has numerous comorbidities. “In addition to the medications you’re prescribing, there are multiple other physicians involved, treating the diabetes” and other disorders, said Dr Aronoff. “The patient then decides he’s going to add marijuana. So you have some decisions to make,” and you have to determine which are wise ones, he said. Dr Aronoff stressed that the potency of the marijuana available today “is magnitudes stronger” than that available back in the 1960s and 1970s. Along with fellow session speakers, Dr Aronoff outlined extensive research on the physical and neuropsychological effects of marijuana. These include dizziness, drowsiness, psychomotor and perception alterations, and orthostatic hypotension. In a driving situation, cannabinoids can affect reaction time, vision, and attention. Syeda Sabah A. Kareem, PharmD, St. Joseph’s Hospital, Tampa, Florida, pointed out that simulated and on-road studies have shown effects on perceptual processes, maintaining speed, response to stimuli, and estimation of time and distance. These factors might explain the increase in motor vehicle collisions related to marijuana use. Dr Aronoff referred to 2014 statistics from Seattle, Washington, showing a tripling of fatal motor vehicle accidents involving marijuana. These statistics also showed that drugged driving was involved in more than 28% of deaths and that combining alcohol and marijuana increases the chances of a fatality by 24%. Functional MRI data also show decreased psychomotor function and a significant level of driving impairment, even in patients with relatively low (1.5 ng/mL) THC concentrations, said Dr Aronoff. Are physicians who prescribe medical marijuana to patients who are in an accident liable? Maybe, said Dr Aronoff. He used the hypothetical situation of a physician who writes a prescription for medical marijuana for a patient who, with a high plasma concentration of THC, gets into a car accident that involves a death. In this scenario, a physician might be brought in for a wrongful death case and on the witness stand be asked to respond to articles outlining various factors related to marijuana intoxication. “You’re asked, one by one, are you aware of the potential to have impaired reaction time, to have a lapse of concentration, to have sensory changes, to have perceptual changes, et cetera, and of course, you need to acknowledge that you are aware,” said Dr Aronoff. Dr Aronoff suggests noting in a patient’s records any concerns and recommendations about driving. In addition to drug screening, Dr Aronoff might also carry out what some of his colleagues have dubbed the “Aronoff” test. When patients aren’t expecting it, he throws a sponge rubber ball at their head. If they reach up to block the ball, it’s an indication that their concentration and attention are intact. Impairments related to marijuana use may extend to the workplace. Statistics from the National Institute on Drug Abuse show that compared with nonusers, marijuana users have 85% more work-related injuries and 78% greater work absenteeism, and their chance of an industrial accident is increased by 55%, Dr Aronoff noted. “Drugged employees increase medical costs by 300%,” he told delegates. Dr Aronoff discussed several court cases concerning use of marijuana and the workplace. One involved an employee in Colorado, a state that allows medical marijuana, who had a prescription for it to treat his back spasms. His employer, which maintained a drug-free work zone and instituted random drug tests, terminated this worker’s employment when he tested positive. Last year, the state’s Supreme Court upheld the decision in this case to terminate the employee. The court indicated that medical marijuana use is unlawful under federal law and that the employee can’t seek protection under Colorado’s lawful off-duty activities statute. On the basis of the available data, Dr Aronoff does not recommend prescribing medical marijuana. “Even if I could, I wouldn’t,” he told Medscape Medical News. His state, North Carolina, does not have legalized marijuana. Having a card allowing a patient access to medical marijuana “means nothing” as such cards are relatively easy to acquire, he said. On the other hand, emerging research shows that patients who are on “stable doses of sustained-acting, time-release opiates” generally don’t pose hazards on the road or on the job, noted Dr Aronoff. Another speaker, Alfonso Romero-Sandoval, MD, PhD, director of research, and associate professor of pharmaceutical sciences, Presbyterian College School of Pharmacy, Clinton, South Carolina, said there are no guidelines for using opiates and marijuana together. “We know the risk factors to consider before prescribing opioids, but we don’t have a list for medical cannabis,” he said. There could be potential additive effects for using both, such as sedation, hypotension, and motor impairment, said Dr Romero-Sandoval. American Academy of Pain Medicine (AAPM) 2016 Annual Meeting. Concurrent session. Presented February 21, 2016. Where are we with medical marijuana? 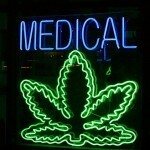 Medical Marijuana: What Physicians Think About It?